There are hundreds of inspirational quotes and people who all say the same thing: live in the moment. You can find thousands of messages all telling you that the only thing that matters is the here and now. The past is over and the future isn’t here yet, so let’s all be present and enjoy every moment that comes our way. It’s a quality I find admirable and one I struggle with every day of my life. The problem with living in the moment is that it’s so hard to forget about the history that came before it. Everyone, every place, everything has a past. The events that have shaped us into the people we have become are vital to our personal evolution. Great memories were formed in yesteryear, as were poor decisions and tragic mistakes. We learned, we changed, we repeated mistakes, we became stronger. We became who we were meant to be. I was talking to someone the other day who said, “The past doesn’t matter. What matters is right here, right now.” To a certain extent, I agree with that statement, but to a possibly even greater extent, I disagree. I am who I am today because of what I have been through. There have been moments of great heartache that have made me a little more callous than I once was and definitely more fearful than I ever dreamed I would be. I progressed in some ways and regressed in others. Through it all, I have always been me, whatever it is that most present version looks like at the time. Just like I have evolved, I am always curious to see what circumstances shaped other people. What have you been through? What have you learned? What do you still struggle with? Some people, understandably, have a difficult time talking about their pasts and opening up to a person right in front of them. When you share what you’ve been through, it’s often like picking at scar tissue. Yes, there once was a wound there and if you continue to scratch at it, it will reopen and hurt all over again. It’s a lesson in vulnerability and not one of the most comfortable places for anyone. As much as I like getting to know someone’s history, I understand how damaging that can be and prod a little less than I would like when I can sense a particular topic is painful. Sometimes, this is for my own peace of mind. Someone else’s past can make you question your present and compare yourself to episodes long since over. There is no sense in constantly rehashing past events. They can’t be changed and who knows what kind of person you would be if they were. Certainly not the person you are today. And I guess that’s the most difficult of it all. How do you get over the past without your present and future being impacted? Even though I have a hard time forgetting my own past and getting over the insecurities those situations have long since left behind, I try my damnedest to move forward, to keep going after what I long for. It is a constant battle when the demons whisper into your ears, “This is going to be just like last time. You will be hurt. You will fail.” When you’ve been disappointed, it’s hard to believe that not all people will disappoint you. When you’ve been hurt, it’s hard not to keep those emotional walls from building up and keeping people from getting too close to you. When you’ve been betrayed, it’s hard to believe that there are trustworthy folks who would never do that to you. Overcoming your past requires a great deal of strength and perseverance. It can be one of the most uncomfortable exercises you’ll ever do in your life and one that, just like going to the gym, requires a constant commitment to see results. To move past everything you’ve been through is battle of you vs. you. You’ve come this far, why not keep going? I know I’m still working on it. Great post. 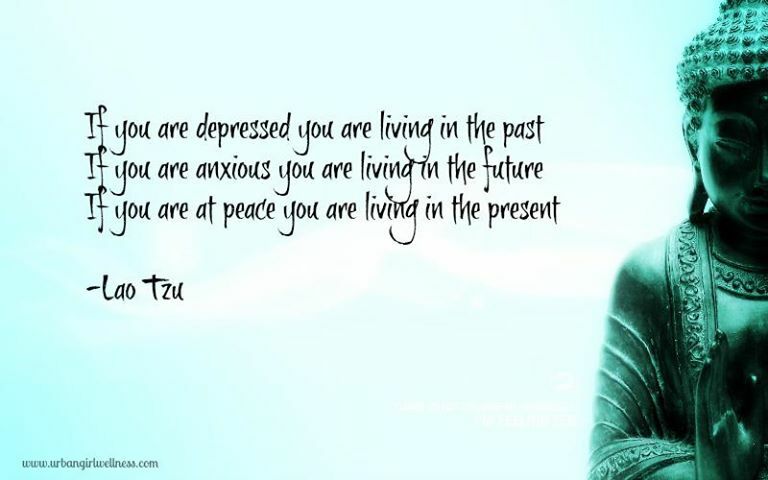 Really struggling with this and working more on living in the present. Wow, Gemma! You’ve been through so much. Thank you for sharing this. “We can choose to continue to let our past affect our life, or, we can accept it has happened and allow ourselves to positively grow from it.” That right there is the key to success. Sure it’s hard and feels weird, but if we can overcome our pasts, we will be much stronger in the long run. Everyone struggles with doubt and their own past. It’s easy to portray ourselves as accomplished, together people, but we are all damaged. There is nothing wrong with admitting it to yourself and others. It’s amazing how quickly you start to heal when you share what you’re struggling with. wow, It’s like you said everything that i have been thinking. I’ve gone through alot of crap in the past and i have been struggling with trying to leave it behind. But somehow it always comes back to haunt my future. All i want to do now is leave it behind! But it’s easier said then done. anyway you’re post really made my day. I hear ya! My past is currently haunting my present and I worry that I may be screwing thing up because I can’t forget what has happened to me. It’s hard to be vulnerable after you’ve been hurt. I hope you find a way to leave the past in the past and if you do, please let me know what worked for you to leave it there. Read my posts on my blog.. 🙂 and yeah I will let you know.. I’ve been able to leave some things in the past but others are just so difficult to forget..
What you write about is so recognizable! My past certainly shaped me. If those events (negative ánd postive) wouldn’t have happened, I would be a completely different person today. It’s indeed difficult to leave the past behind, because, to me, it is a part of me. You can’t just act like all those things didn’t happen and then move on with your life. Your past and the present will together form your future. I’m glad you could relate. 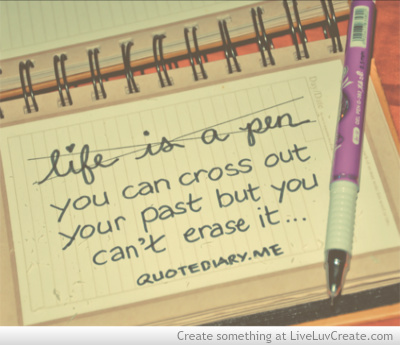 It’s hard to erase parts if yourself, whether they be positive or negative. We are who we are and you are right, our past and present do form our future. Thanks for commenting! Reblogged this on SACRED WATERS HEALING. Thank you! It’s hard not to focus on the past when it affects the present. I guess by continuing to evolve and press through difficult times, the past gets pushed further and further away until it no longer affects us. At least, that’s what I’m hoping for. We all have things about our pasts, good and bad, that shape us for what we are now, and how we live in the present, and plan for the future. We learn from our pasts, but don’t become too obsessed with it that we forget to live in the present and enjoy life. Right you are, Phil. If it weren’t for our past, we wouldn’t be the people we are today. Reblogged this on Roslyn Grace.